They don’t even really take on the argument that the £350 million a week “promise” wasn’t in any way a promise. 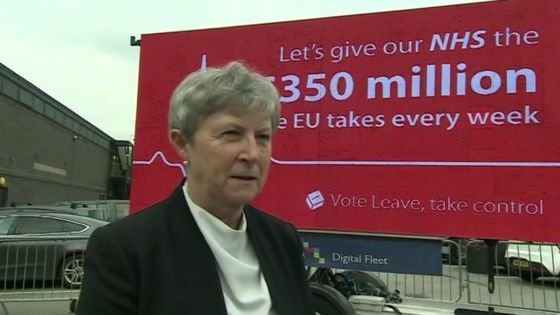 The words on the bus actually said “We send the EU £350 million a week. 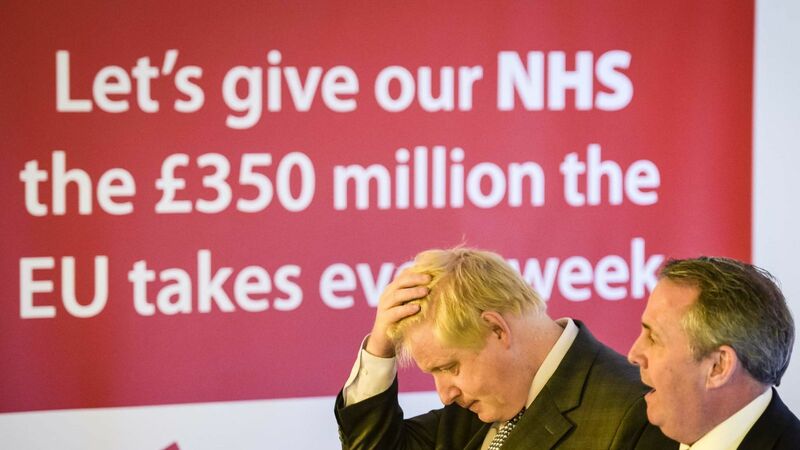 Let’s fund our NHS instead.” Now you can argue if you want that this is a promise to spend £350 million extra every week on the NHS, but it didn’t actually say that, did it? The problem is that this, like much of the rest of that post by Iain, actually is rather economical with the truth. Here is the ITV News story announcing the billboard launch. The tweet with the graphic in it is still on Vote Leave’s Twitter feed here. So, as I see it, there was enough of a connection made between the £350m figure and the NHS to imply that money would be spent on the NHS. How then, I wonder, is Iain’s assertion that the NHS spending commitment does not hold, while some politicians (but by no means all) in the Leave campaign saying Britain must leave the Single Market means that a Hard Brexit is obvious? It is not. All of these things were grey during the referendum campaign – the NHS ‘pledge’, commitments about Turkey and the EU, and commitments about the Single Market. Iain is over interpreting what was said prior to 23rd June. It was merely a suggestion, an example of what COULD be funded if we stopped paying that to the EU! Who started the lie that it was a promise? WHY don’t the vote leave group contest this untruth? It’s about time they did! Merely a suggestion on how to spend money that doesn’t exist? 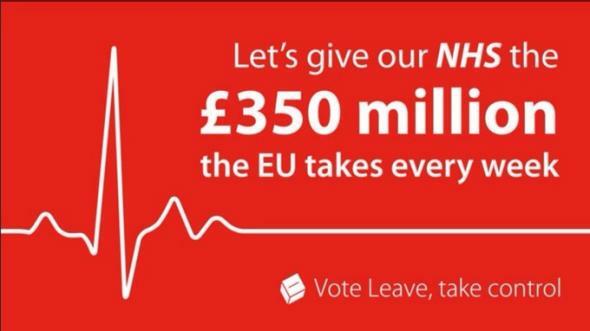 We do not send £350m to the EU so any debate on whether it’s a promise or a suggestion is secondary to this. Why are the only ones clinging to the supposed assertion literally those who claim to have rejected it at the time, and as if it hadn’t been subjected to endless discussion prior to the vote during which not one Brexiteer claimed it to be literal. Poor grasp of the English language. Let’s is only ever used for a suggestion. In none of those images is there any reference whatsoever to a pledge/promise. It is worded as, and was marketed as, a suggestion. Regardless of the wording, only the government can make promises about the spending of public money, since only the government has power to spend it. In an election scenario, parties standing for government can make promises about what they will try to do if elected – though they are not always able to follow through. Lobby groups cannot make promises, only set out their position and what they want to persuade government to do. Referenda are not elections. The two – in this case, three – sides are lobby groups. Even if one of the two leave groups worded it as a promise, which they did not – no-one begins a promise with the word “let’s”; it is a suggestion – they have no power to do anything more than suggest it to the government. It amazes me that so many apparently educated people seem to be totally ignorant of very basic facts about how democracy works, or cannot distinguish an election from a referendum. If some of these extremely ignorant people accepted anything either side said as a promise rather than an aspiration, their lack of education is to blame. Mrs B Bowles, funny how the Brexit brigade are all grammatically correct now that the lie has been used. Indeed no side could make promises, it didn’t stop Leave doing just that and mugging the stupid Brexiteers. As an example of Brexiteer double speak, you now have leading leavers claiming that the people voted for hard brexit and we must leave the single market. That was not the question, but apparently it is now the only answer. A super example of Brexiteer double speak and dishonesty. Your faux amazement about a lack of Remainer understanding of democracy makes you look foolish, bearing in mind that the Leave government was taken to the high court on this very matter and lost. Boris, Gove, David Davis, Duncan Smith, Grayling all lined up and called the legal challenge and affront to democracy. Ignorance of democracy or a complete lack of respect for our democracy. Be careful of justifying lies, it undermines our democracy, the very democracy you proclaim to understand. Maybe there’s a clue in the campaign organisation “Vote Leave”. Possibly it suggests that we should leave something.